Leather-clad Motorcycle Torvson. 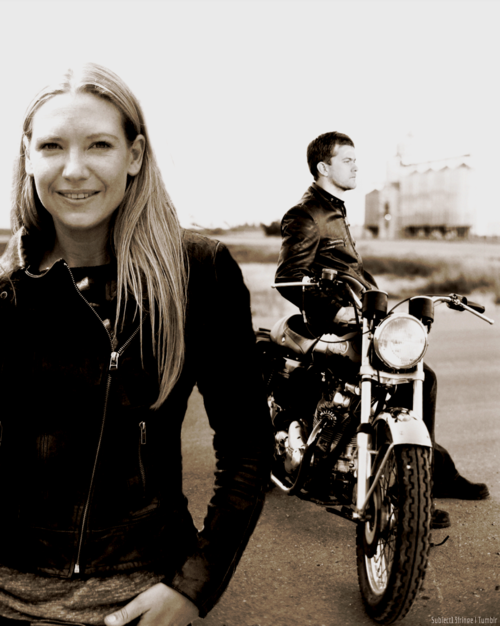 Josh and Anna take a bike ride.. Wallpaper and background images in the Anna Torv and Joshua Jackson club tagged: joshua jackson anna torv torvson ♥. 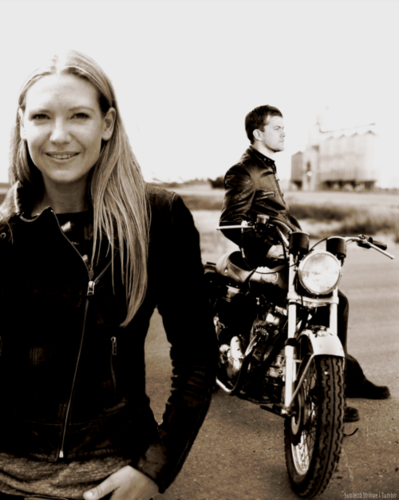 This Anna Torv and Joshua Jackson fan art contains moto flic, moto policier, flic de vitesse, policier de motocyclette, copain de vitesse, moto de flic, policier de la moto, and cop de vitesse. There might also be motocycliste.